According to ICANN regulation, whenever a domain is registered, accurate information must be submitted along with that registration. 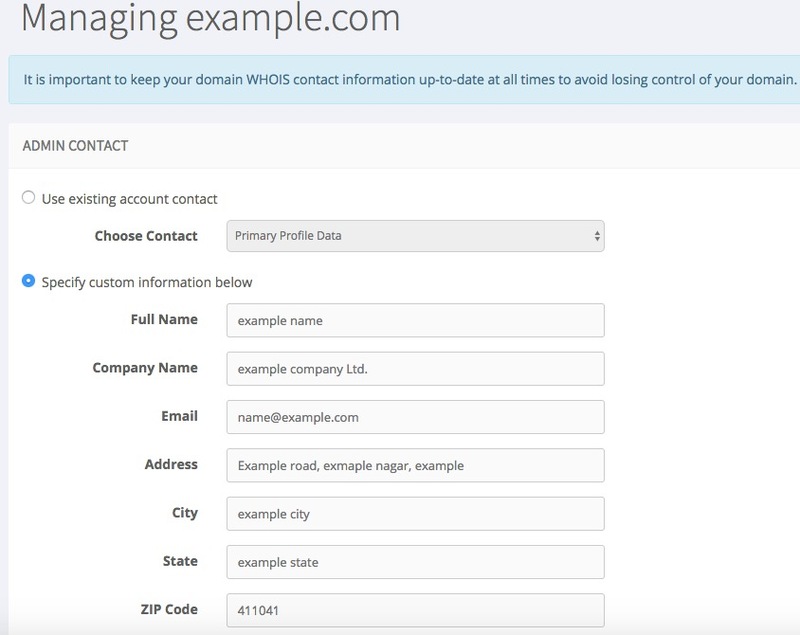 Maintaining accurate WHOIS information can be vital to managing your domain. 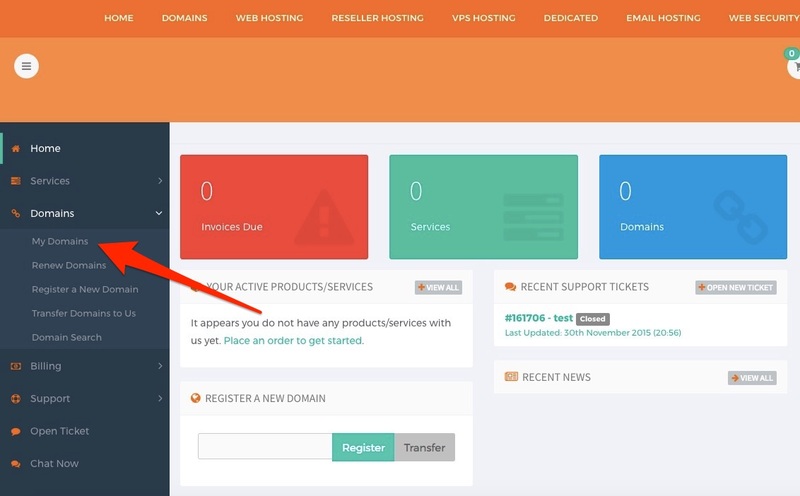 Be sure to provide a valid email address for your WHOIS as you will be required to verify your WHOIS information via email when changes are made to the registrant, admin, tech or billing contact information listed in the WHOIS. If verification is not received within 15 days, the domain name will be suspended. 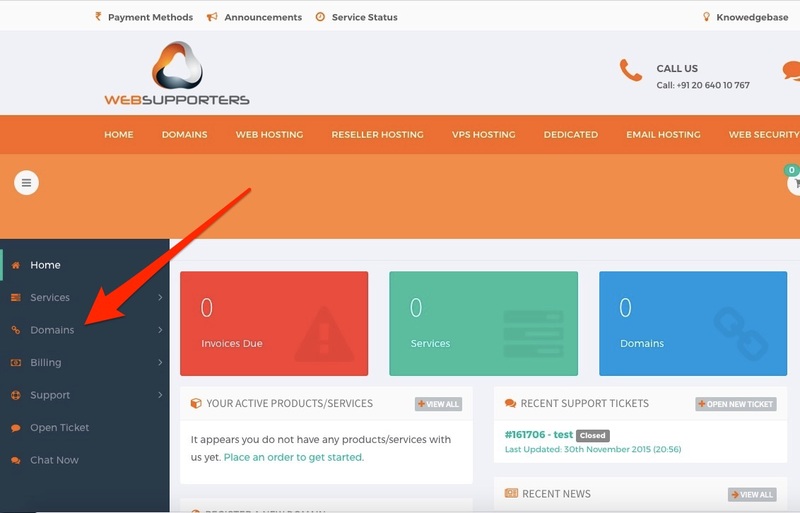 WebSupporters has created a new domain control panel which allows you access to add and manage all of your WebSupporters domains from a single control panel. 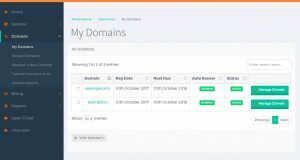 The following instructions will show you how to change and manage the WHOIS information for your domains. 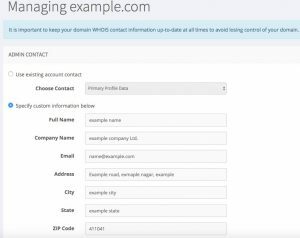 Click on Management Tools & select Contact Information.You can then change the WHOIS contact information from this section. You may choose to Use existing account contact OR Specify custom information below to fill your desired contact information. 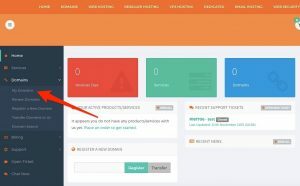 Once all the contact information has been filled out, click Save Changes to save your changes. 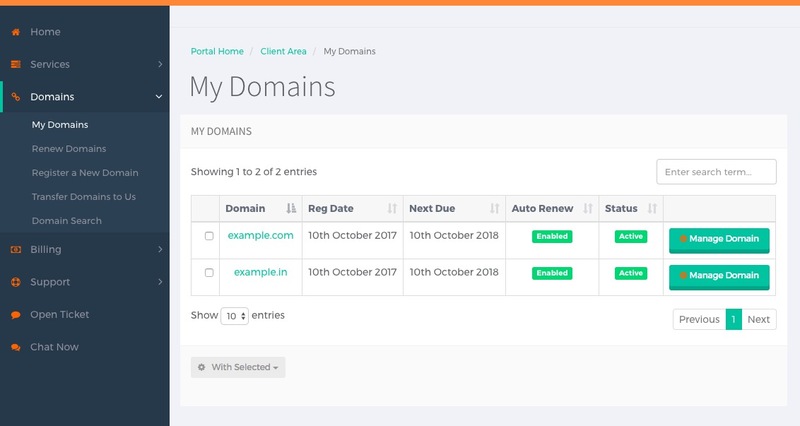 You voluntarily agree to a 60-day lock that prevents you from transferring your domain name when you update the organisation field for the registrant contact, or when you update the First name, Last name, or Email address fields for the registrant contact if an organisation is not the legal registrant for your domain name.